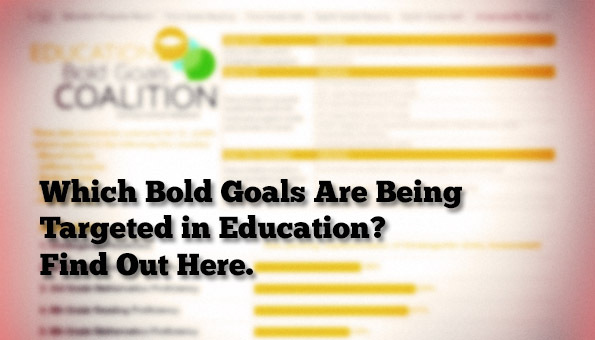 Alabama School Connection » Which Bold Goals Are Being Targeted in Education? Find Out Here. 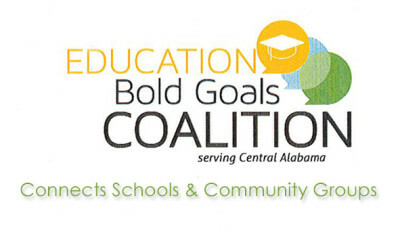 The Bold Goals Coalition of Central Alabama is hard at work moving nonprofit organizations and government agencies toward common goals in an effort known as “collective impact”. Dan Stephens, Vice President of Community Impact for Education at United Way of Central Alabama, joined me on the Get Connected segment on The Alabama Way to tell us what Bold Goals is, which bold goals are being targeted, and what kind of things organizations and community members are doing to impact education in the central Alabama region. Here’s the Get Connected segment. Here’s the Bold Goals 2015 Year in Review. For education goals, Bold Goals committee members have chosen to focus their efforts to improve third grade reading levels. The data dashboard on this page, created by the Public Affairs Research Council of Alabama, a partner in the Bold Goals Coalition, shows the data being tracked and analyzed. Here’s an article from October with more information about Bold Goals.